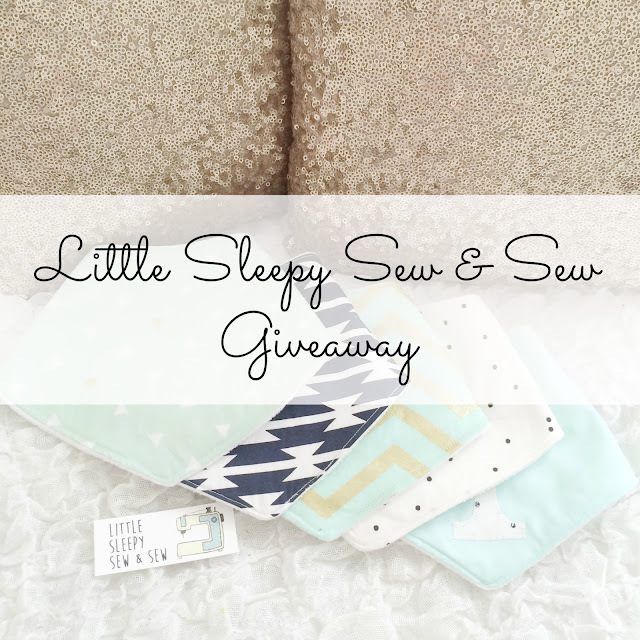 The Knott Bump & Us: Little Sleepy Sew & Sew Giveaway! Our lovely friend Anna over at Little Sleepy Sew & Sew creates the most beautiful dribble bibs and other accessories whilst her gorgeous baby naps. She uses such lovely material and creates unique bits and bobs for your little one. Material is often limited and Anna likes to mix up the prints she uses so you are aren't likely to run into any other babies locally rocking the same bibs - phew! Anna also blogs at Play at Home Teacher. Busy lady! We were sent a pack of hair ties to try and I also bought Isla some bibs from Little Sleepy Sew & Sew. The hair ties are so lovely. Firstly, the colours and patterns are fab. I've got the Black, Grey and White set because I am a monochrome obsessive but there are also some other gorgeous colours and patterns to choose from. We have a set of hair ties and a dribble bib of your choice (subject to stock from Little Sleepy Sew & Sew's website) to give away. All you have to do is enter below.This giveaway closes on the 15/06/15 and is only open to UK residents I'm afraid. These are lovely! I like the mint dots set the best although they are all beautiful! These are lovely! Love the mint dots ones! I love coral hair ties and a mint and gold dribble bib. I love the glitter ones! I LOVE the mint bibs!! Love the mint dots ones! The white and black polka dots!